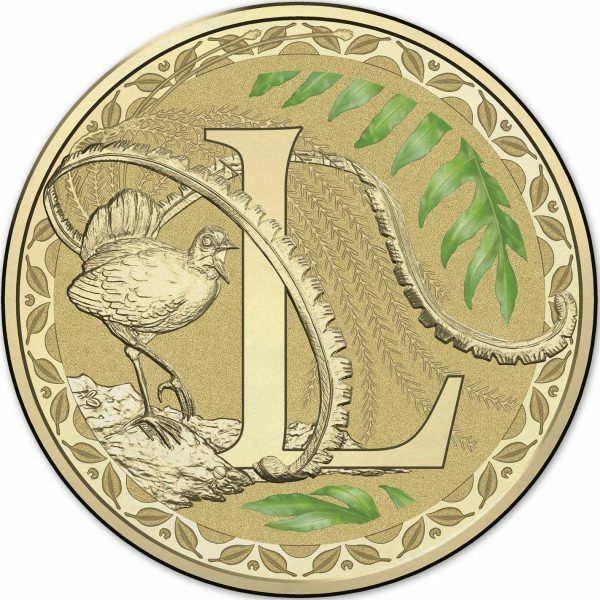 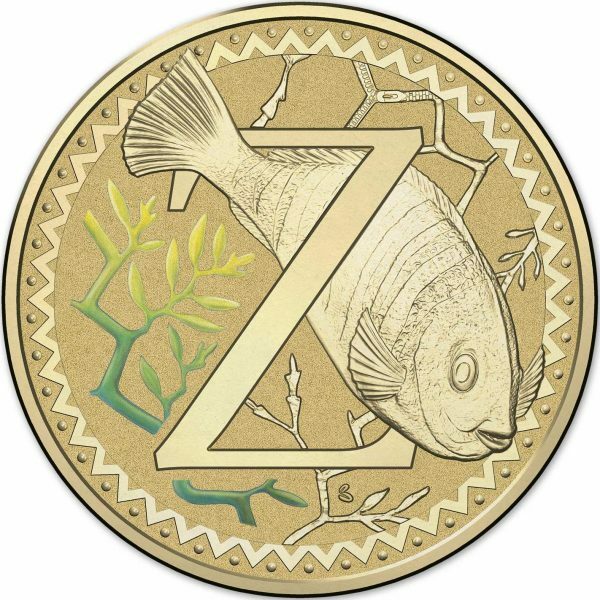 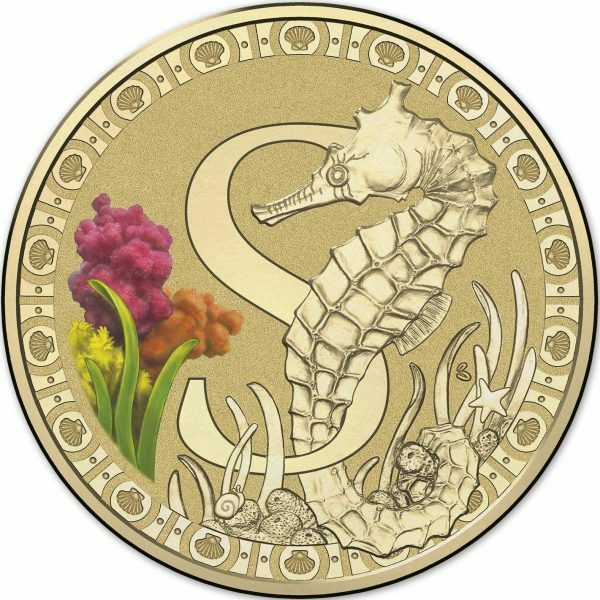 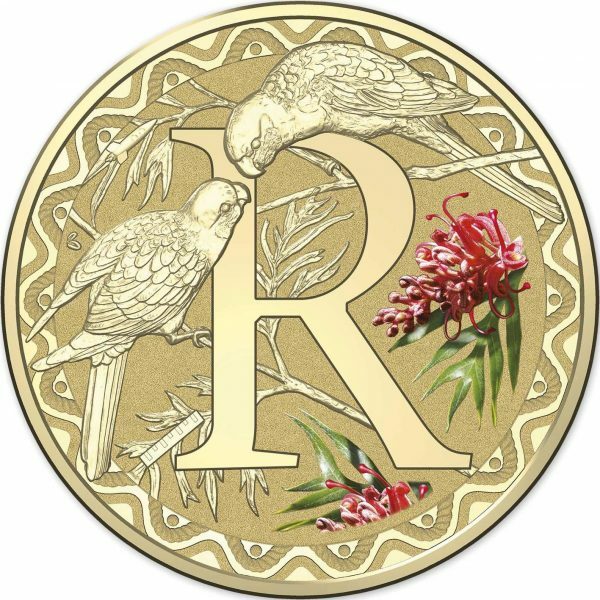 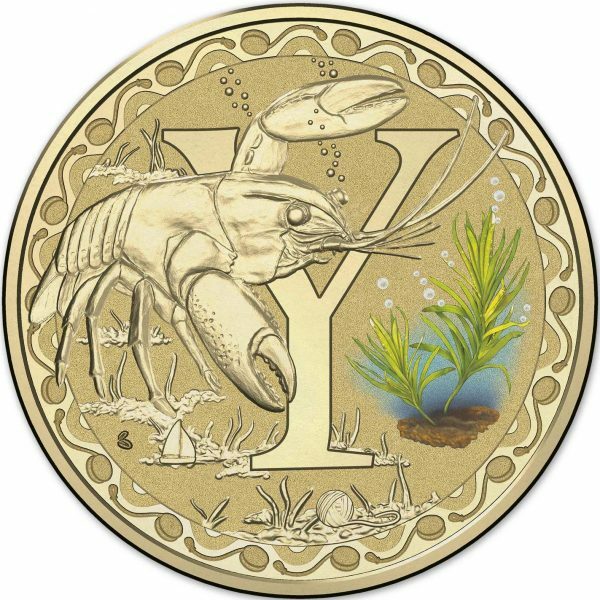 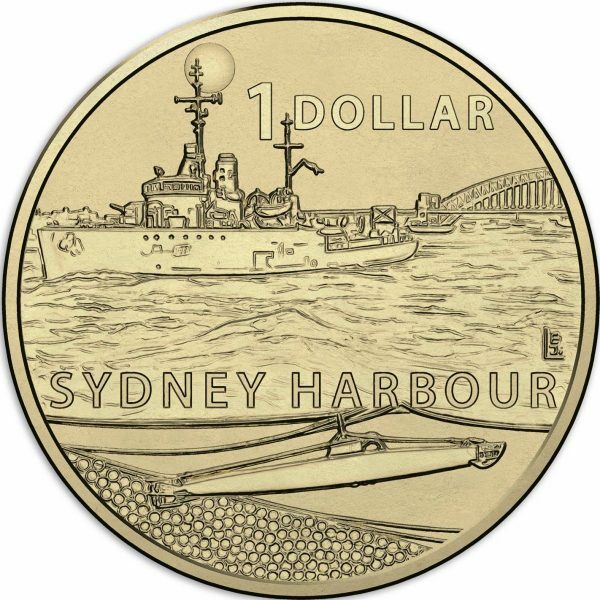 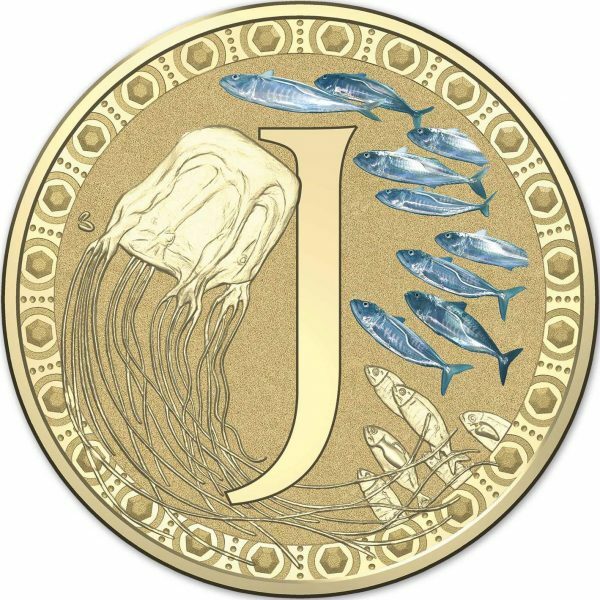 Below we have compiled a list of all the 25 millimetre one dollar coins issued by the Royal Australian Mint (RAM) in 2017. 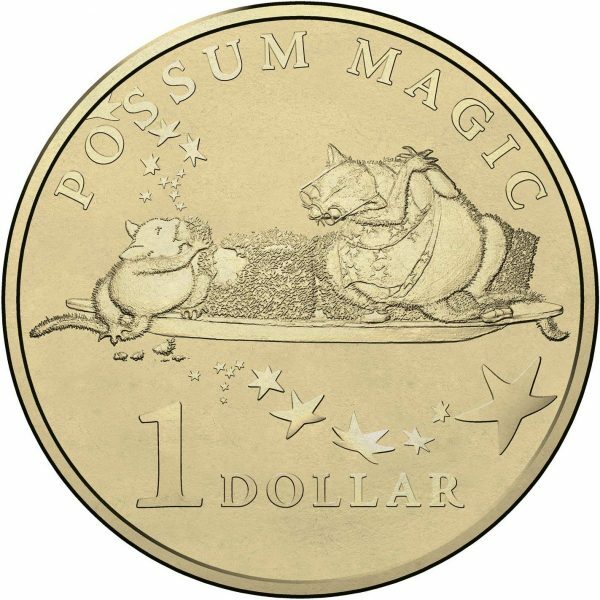 It includes $1 coins that were sent into circulation and collector coins of the same size. 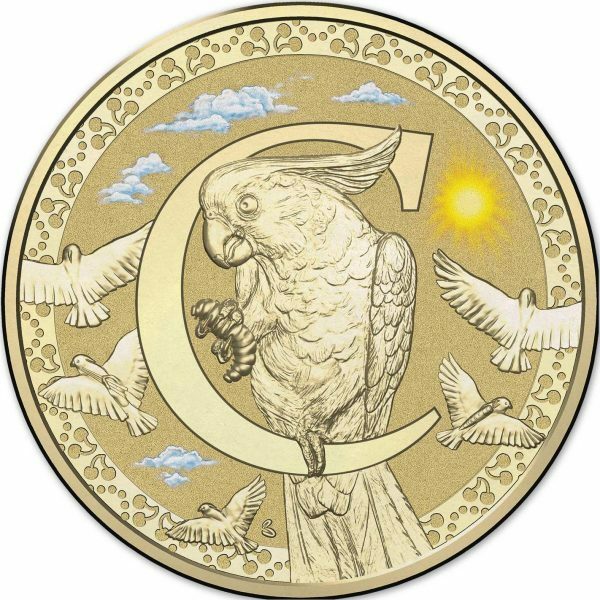 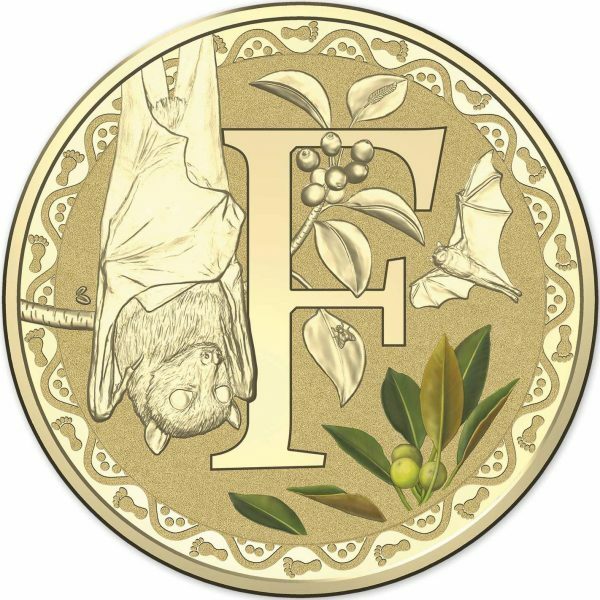 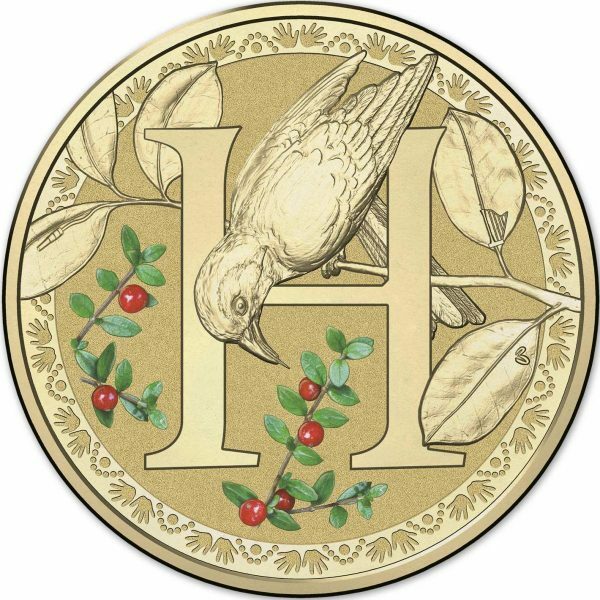 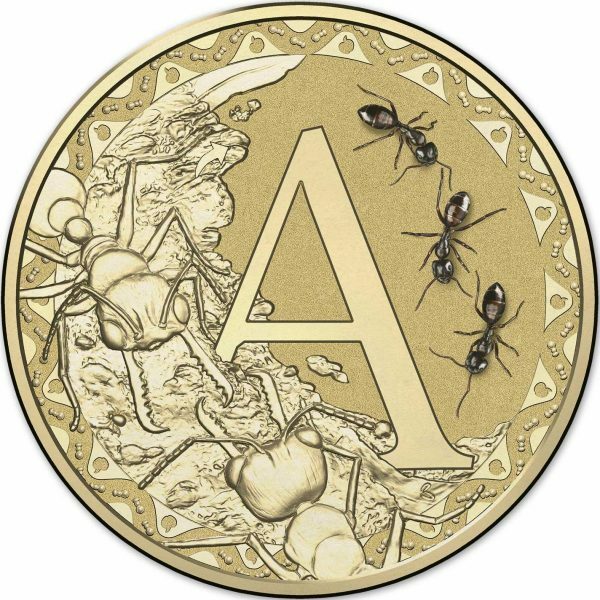 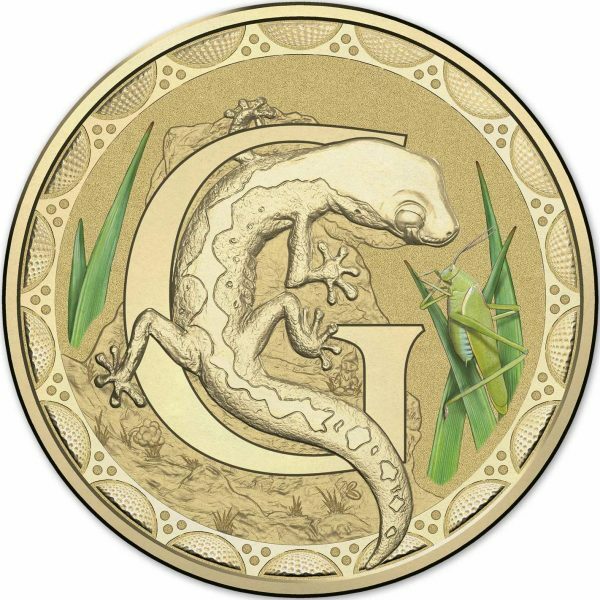 The list includes aluminium bronze dollar coins, silver coins and gold coins (if any). 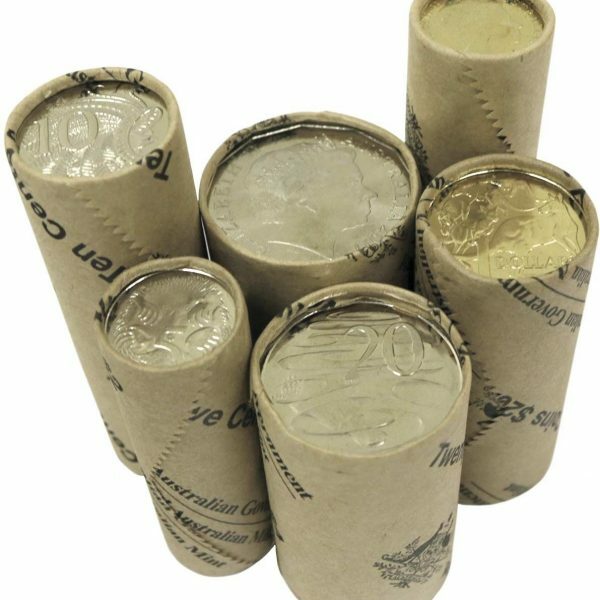 The silver and gold coins weigh differently but the standard dollar coin struck from aluminium bronze weighs 9 grams and each have interrupted edge milling. 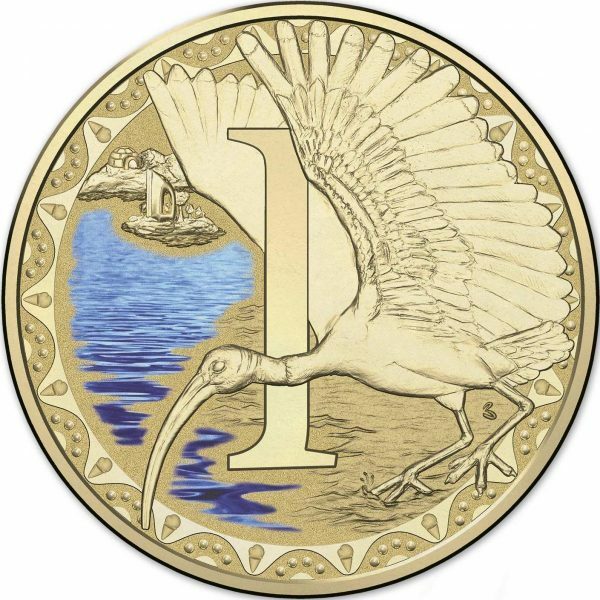 The obverses all feature the Ian Rank-Broadley portrait of Queen Elizabeth II. 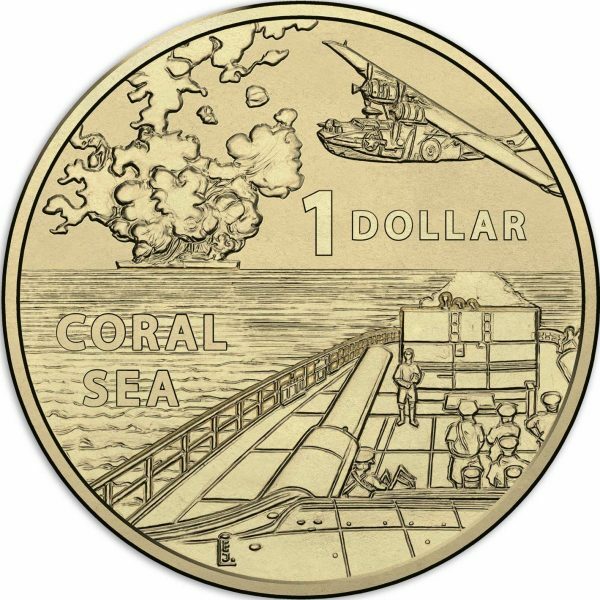 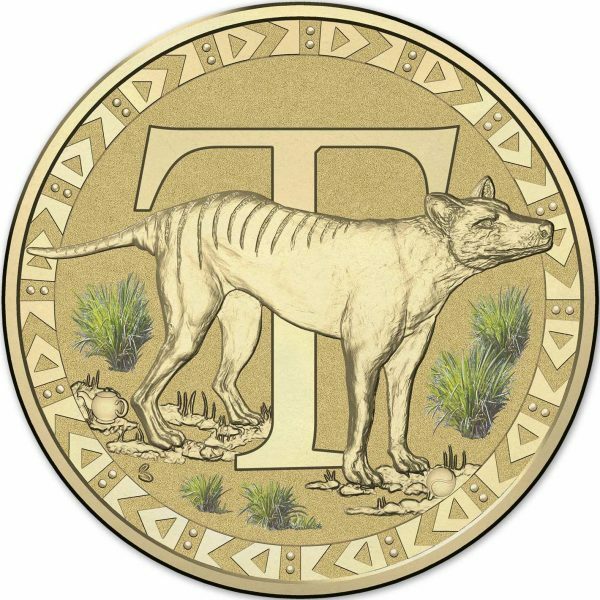 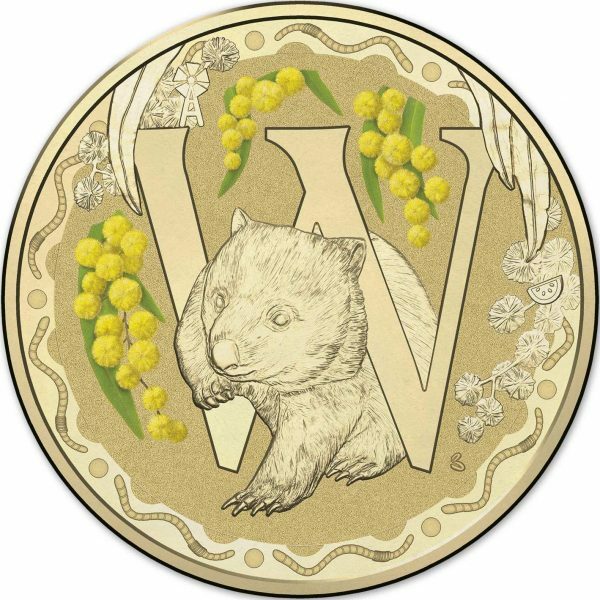 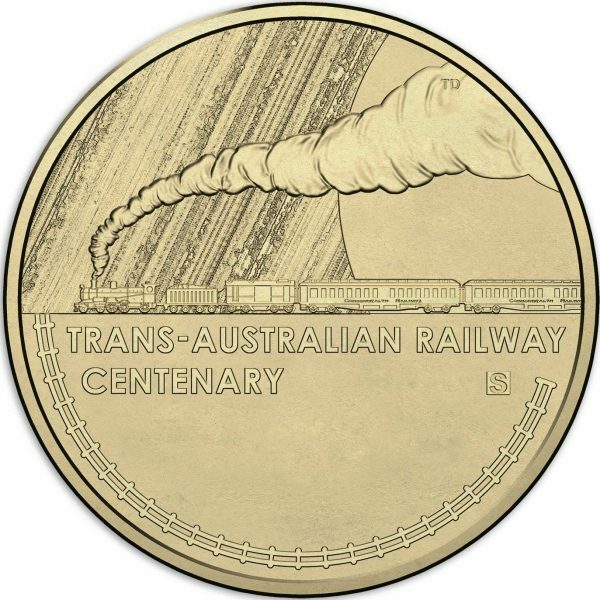 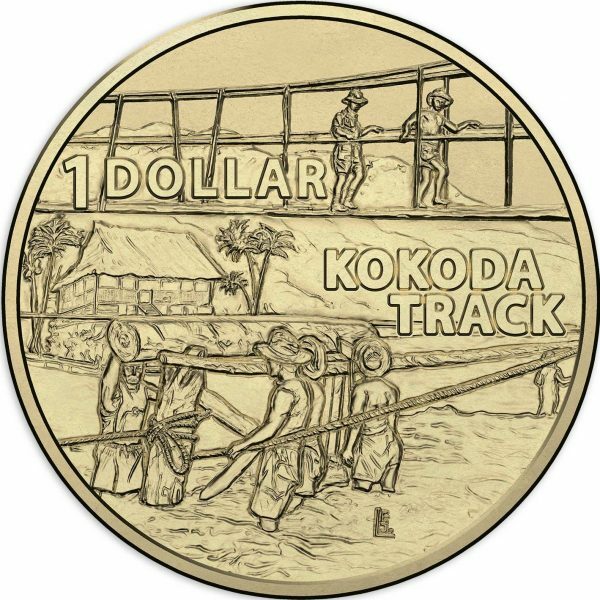 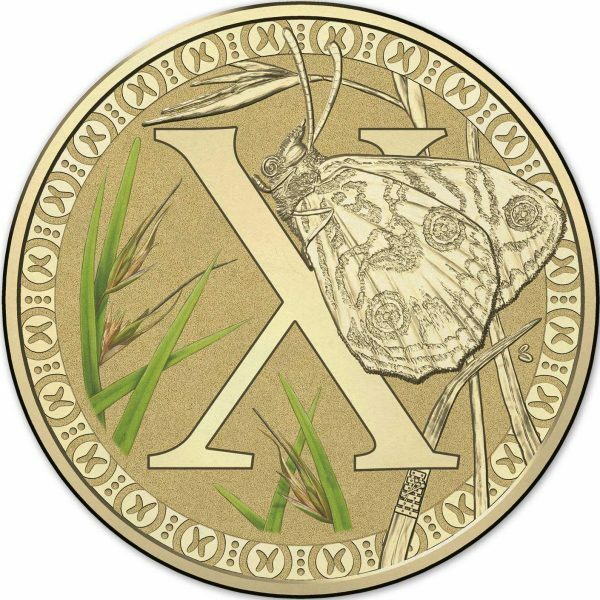 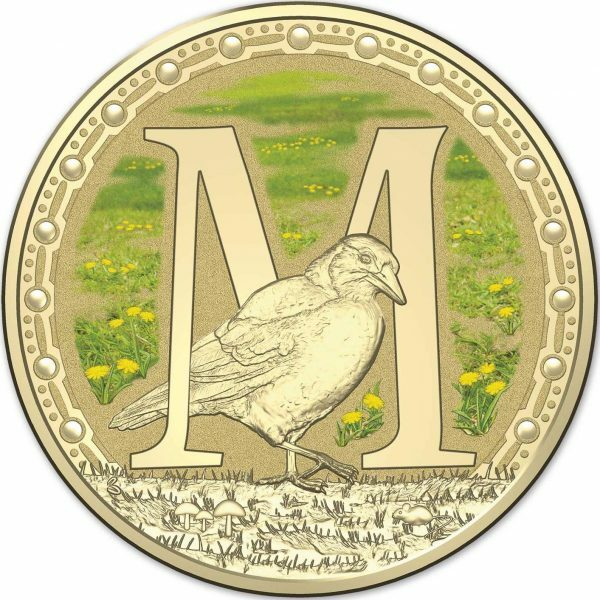 The mintmark dollar for 2017 is the Trans-Australian Railway centenary dollar and celebrates the 100th anniversary of the completion of the rail line across the vast Nullabor Plain from Port Augusta to Kalgoorlie. 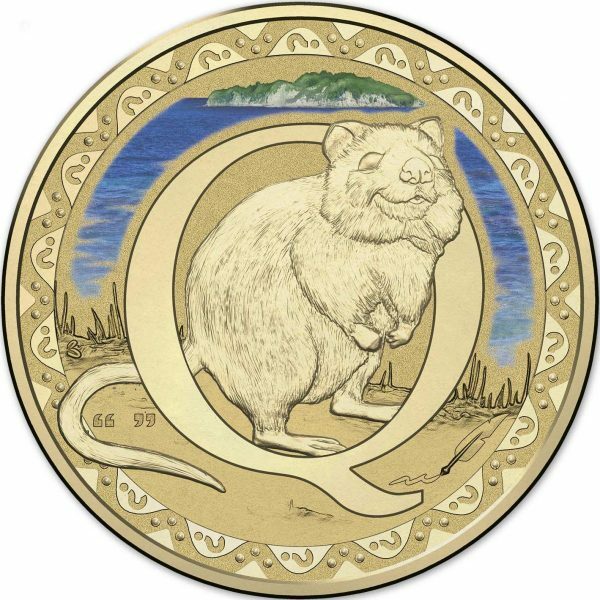 It can be found with a C mintmark and various counterstamps and privymarks. 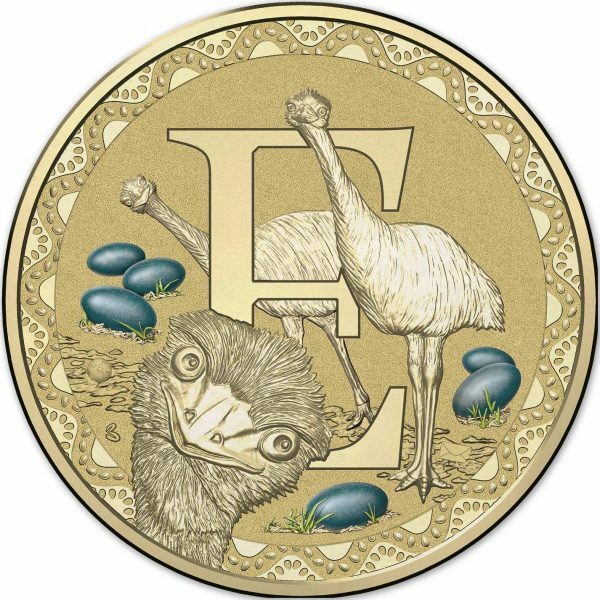 The RAM continued with the alphabet (baby) sets adding quite a cost to keep the collection complete. 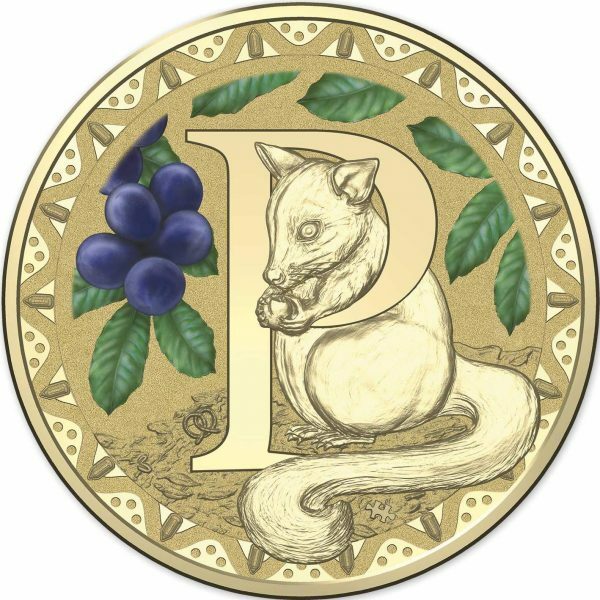 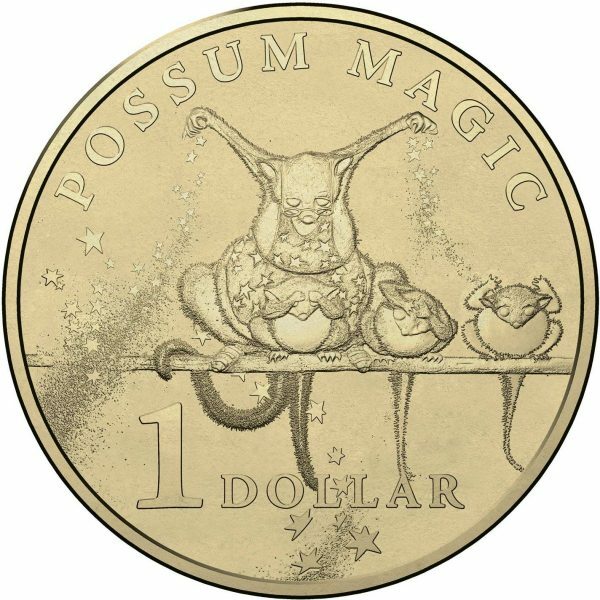 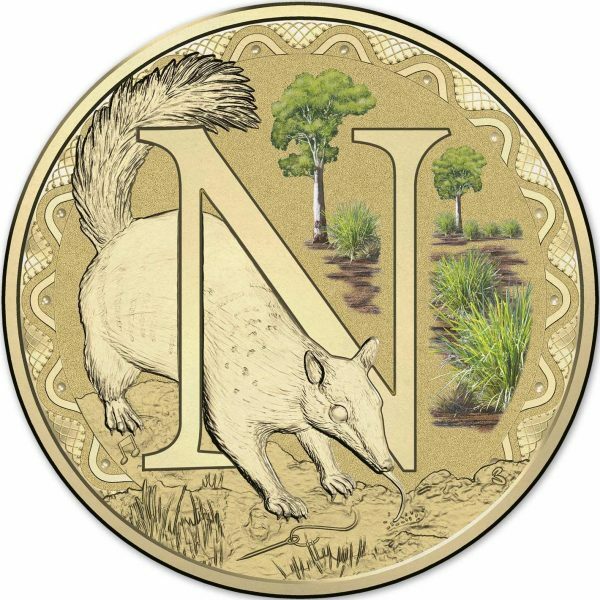 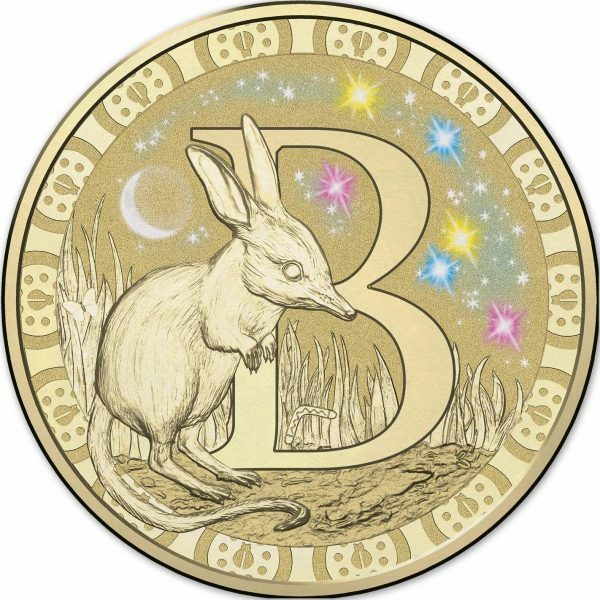 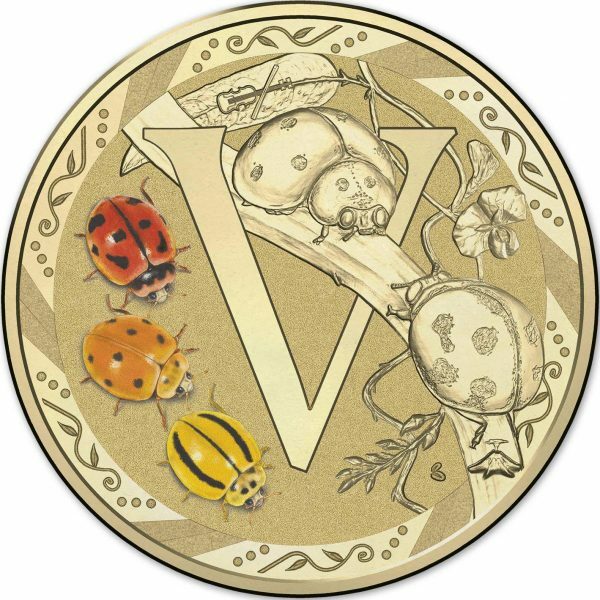 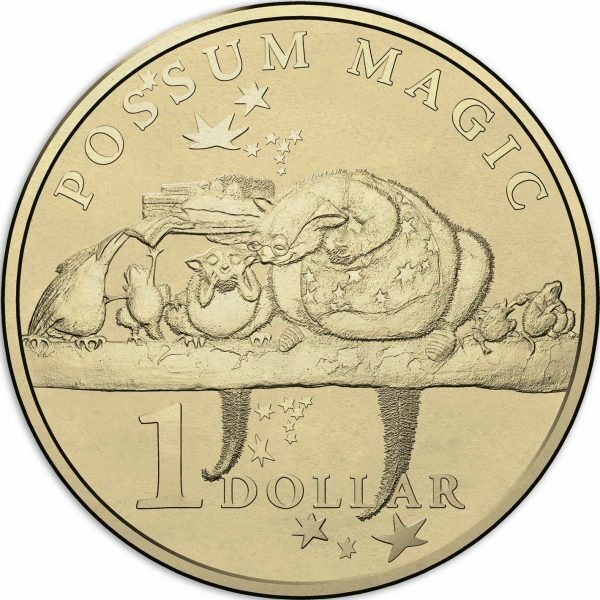 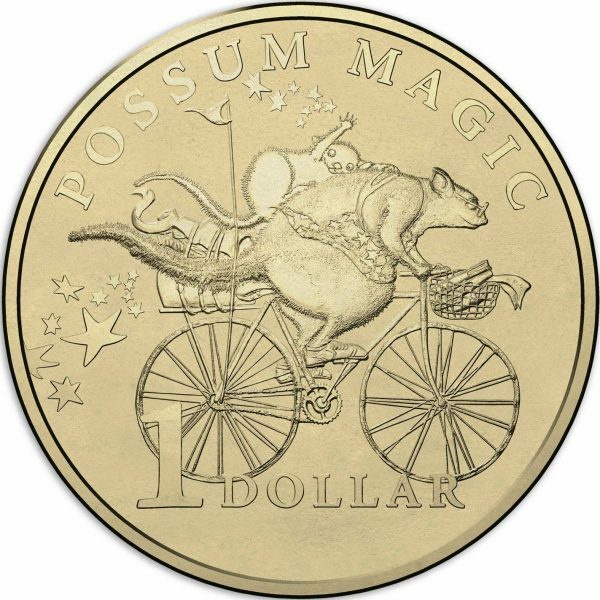 Possum Magic was popular with coloured $2 releases and in the same (8 coin) set four NCLT dollar coins were released. 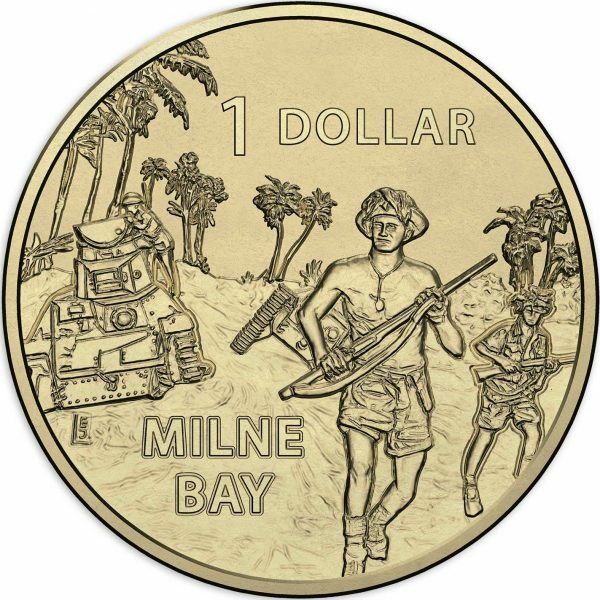 In the lunar series it was year of the rooster and military history and remembrance of war was another strong theme celebrating the ANZAC centenary. 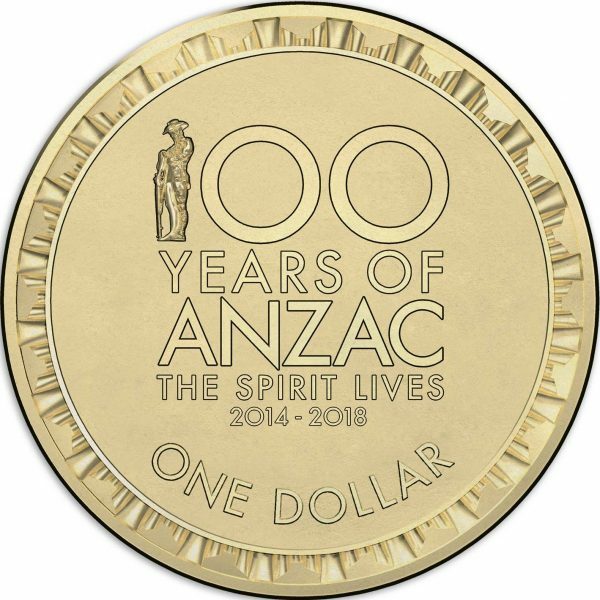 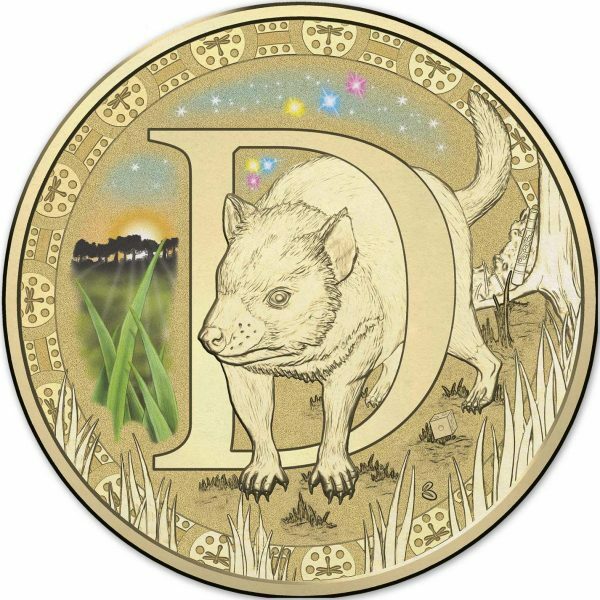 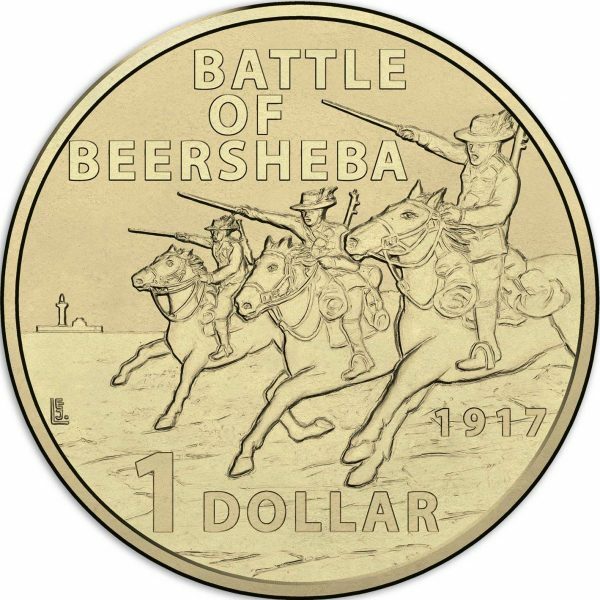 The 100 years of ANZAC dollar is again seen in circulation (it has all dates 2014-2018) as well as the standard Devlin design Mob of Roos. 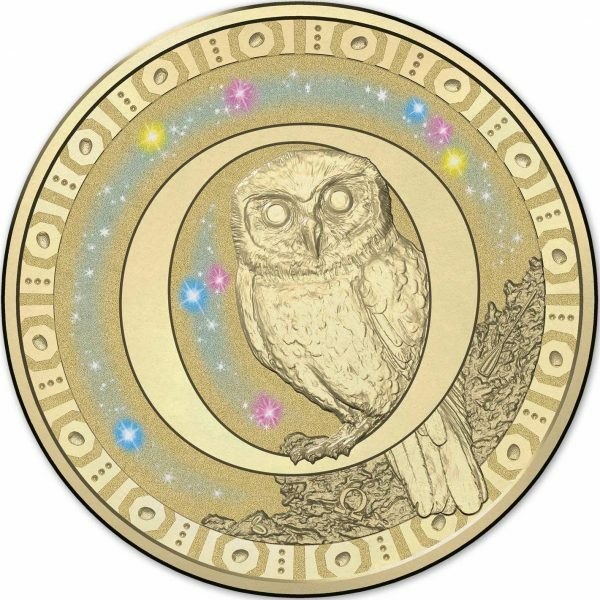 For items in our table below that show a zero mintage this is because the number is unknown at this time or is unlimited. 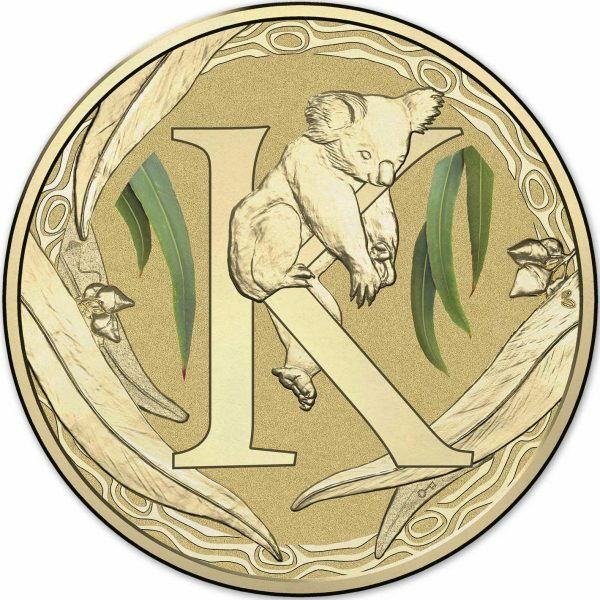 The numbers are correct up to and including the report for the 2016-17 financial year. 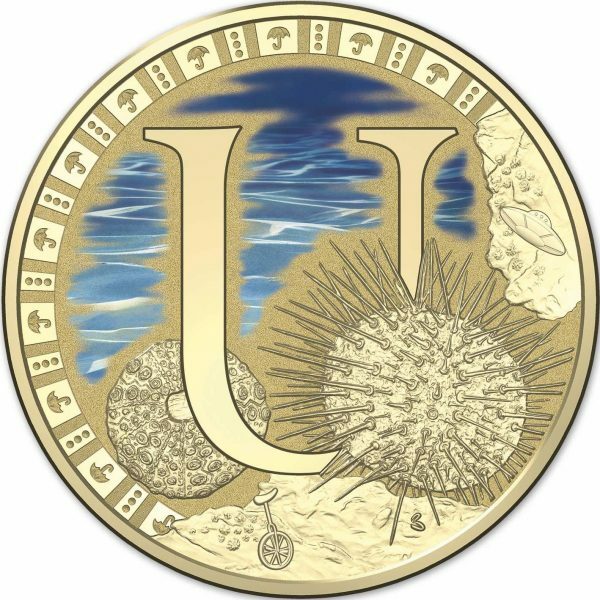 More numbers will be added as new information becomes available.